Your Fast Track to a Meaningful Career! Everywhere in America and abroad, and even in Houston dental assistant jobs are in high demand. 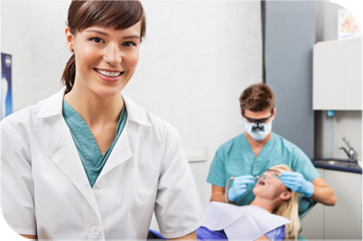 In both urban and rural areas dental assistants are being hired and paid well. If you are considering a career move, dental assisting may be right for you and our Houston Dental Assistant School is your ticket to a fulfilling vocation. Call us today because our next class begins soon and it’s filling up very fast. (281) 653-8323 now and sign up today. Located in Houston Texas, our career education course teaches each and every student the essential knowledge and skills that professional dental assistants must know to get a job. Students, are instructed in fundamental and general dental assisting. Approximately half of each session is in a classroom environment. In the other half of each session students participate and gain hands-on training. Instructor demonstration, coaching and evaluation make the experience fun. 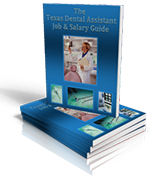 Requirements to become a registered dental assistant in the state of Texas are given. Our goal is to help students gain fundamental dental assisting knowledge and hands-on clinical experience aimed at career placement and job satisfaction.